Greenberg & Strelitz, P.A. 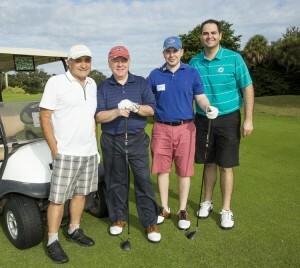 Supports the 1st Annual Andrew J. Penta Golf Tournament Benefiting the Wounded Warrior Project - Greenberg & Strelitz, P.A. Greenberg & Strelitz, P.A. always makes an effort to give back to the community. Jared P. Greenberg recently co-hosted the 1st Annual Andrew J. Penta Golf Tournament benefiting the Wounded Warrior Project. Greenberg & Strelitz, P.A. took an active role in this great event as a hole sponsor, and by having Jeffrey L. Greenberg and Jared P. Greenberg participate in the event. There was a field of over 80 golfers that participated in the event at Jacaranda Golf Club in Plantation, Florida. It was a day filled with golfing, a banquet, and a fundraising auction in honor of fallen hero, Andrew J. Penta.